Choose to combine PRP therapy with microneedling benefits and you have an advanced technique that stimulates your body to produce collagen and elastin naturally to erase your skin flaws. You can get the results you’re looking for without using chemicals and invasive techniques that may have side effects and do more harm than good. In recent times, microneedling is fast gaining popularity and widespread interest for many reasons. 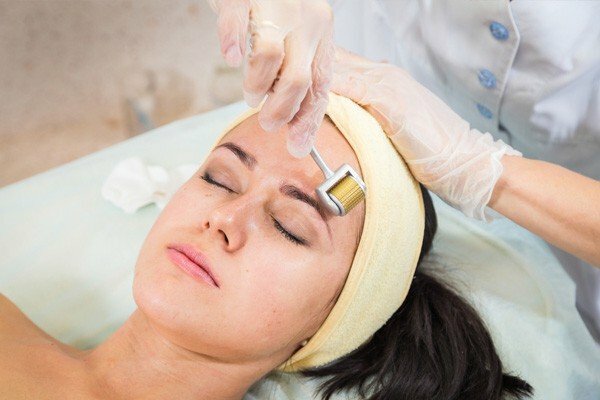 This skin rejuvenation technique is minimally-invasive and does not involve the use of chemicals. Most importantly, the procedure merely works to stimulate the natural repairing mechanisms of the body to erase skin flaws. 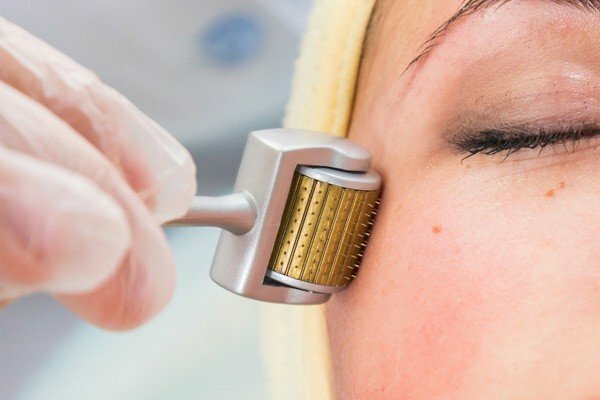 Should you discuss the technique with your dermatologist, you will learn about the many microneedling benefits, and the wonders it can do for your skin. So, What is Microneedling All About? Microneedling is a process by which your dermatologist inflicts micro-punctures in the top layers of the skin using a device called a dermaroller. The needles in the device range from 1 mm to 3 mm and work without reaching the lower epidermis. The body responds to the micro-traumas by flooding the area with a cascade of healing elements. These elements include growth factors and proteins that can help regenerate the framework of the tissues. During the process of repair and regeneration, the body also creates fresh collagen and elastin to heal the injuries, a process that also results in skin tightening. If needed, the skin may develop new blood vessels to nourish the damage with fresh nutrients and oxygen. As a result, in the weeks following the procedure, you’ll notice that your skin starts to appear smoother and firmer. But, these are only a few of the various microneedling benefits. Scientists at the National Center for Biotechnology Information conducted studies on the procedure. A group of subjects received the treatment with a barrel infused with 1.5mm needles. In all, 4 sessions were performed at intervals of 4 weeks each. Examinations conducted at 6 months and 12 months afterward showed a 400% improvement in the collagen and elastin of the skin. Dermatologists also noted that the skin seemed thicker and had a smoother texture. 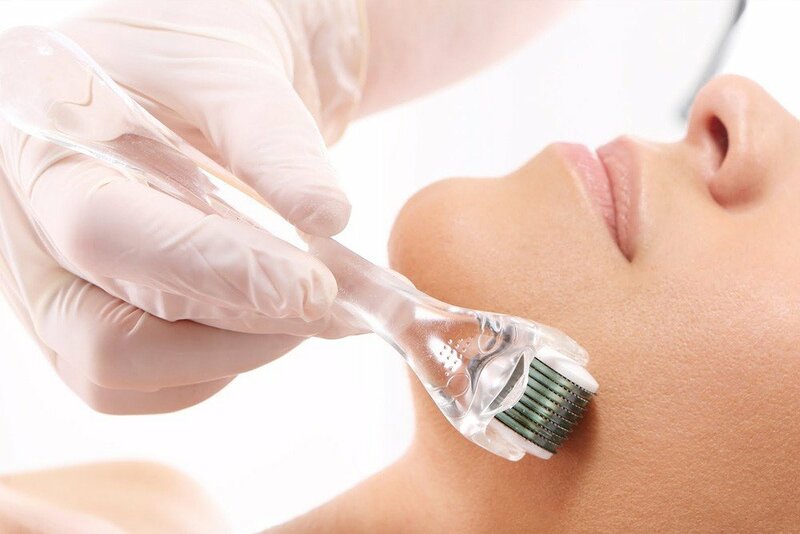 Doctors have been studying the various microneedling benefits and are now using the dermaroller to erase a whole range of skin flaws. You can now get the procedure not just on your face, but also other areas of your body to erase injury scars and stretch marks. For this reason, to get the best microneedling benefits, you may want to combine the procedure with other skin repair treatments. Should you combine PRP therapy with microneedling, you’ll find that your skin receives an added boost because of the repairing elements present in the PRP serum. Given that these elements also work to replenish the damaged collagen and elastin, you can look forward to smoother skin in a shorter time frame. Here are the 5 main microneedling benefits. One of the best microneedling benefits is the lightening of acne scars and marks to a point where they are barely visible. During microneedling, the tough scar tissue in the acne marks breaks down. Depending on the severity of the scars, your dermatologist may opt to use longer 3mm needles that work better. Post-procedure, the new collagen and elastin that forms in place of the old scars have a more even criss-cross structure which is different from the uneven texture of the scar tissue. As a result, the skin seems smoother and even toned. During PRP hair loss treatments, dermatologists inject the PRP serum at depths of 1mm in the problem areas and bare sections of the scalp. 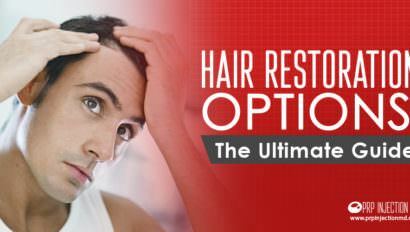 But, by combining PRP with microneedling, the serum reaches into the scalp more evenly. The dual action of micro traumas and the growth factors of PRP seem to achieve more effective results. 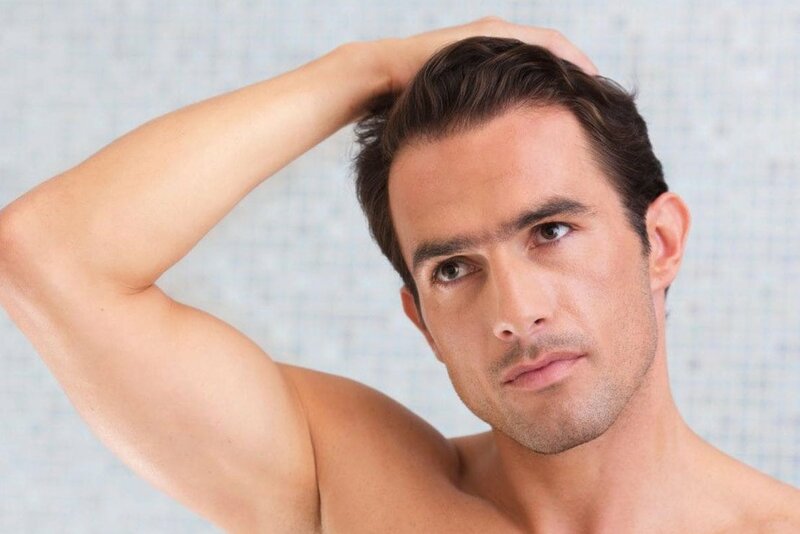 Even as the new blood vessels nourish the scalp over the next few weeks, you’ll notice thicker hair growth that has a darker coloring and richer texture. The array of microneedling benefits also includes signs of age reversal. Do you see signs like lines, wrinkles, creases, parentheses at the corners of the mouth, and crows’ feet? All of them are a result of the breaking down of the collagen and elastin in the skin with age. When you get the microneedling procedure, you can stimulate a new production of collagen and elastin to get back a younger appearance. Combining PRP facials with microneedling can also give you faster collagen replacement and more effective results. Silvery lines or striae as they are also called are typically the results of rapid growth during puberty, weight gain, weight loss, or puberty. While PRP for stretch marks have shown impressive results, dermatologists are now discovering how microneedling can help. The tiny needles in the dermaroller break the toughened tissue around the stretch marks. In this way, the needles stimulate skin repair and reduce the appearance of the striae so that they are extremely light. And, yes! You can get microneedling for your abdomen, thighs, shoulders, buttocks, or any other section that shows stretch marks. Damage from sun exposure and pigmentation with patchy skin are all conditions that respond well to PRP. That’s because the treatment creates new blood vessels in the skin that work to carry away pigmentation-causing impurities. When combined with microneedling, doctors can speed the removal of toxins from the skin so it gets back its flawless appearance. 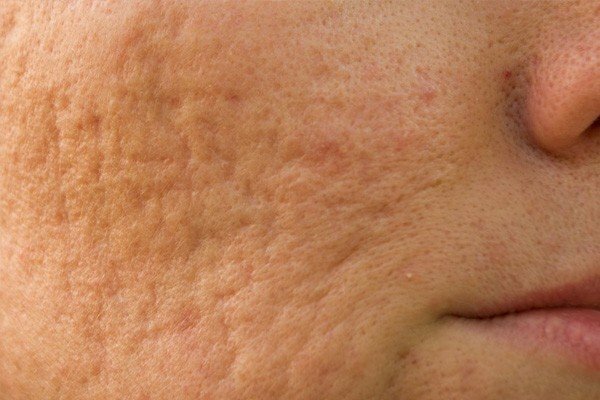 Do you have skin flaws that you feel need treatment? In place of invasive and chemical solutions, you may want to try techniques that stimulate your body to correct the flaws naturally. Try Platelet Rich Plasma (PRP) or microneedling. Or, try a combination of the two and watch the transformation they bring in your skin. Would you like more information about how PRP can work with microneedling? Or, perhaps, more details about the suitability of the procedures for your skin. Contact us or call us at this number: (888) 981-9516. Our consultants will help you with all the details you need. Have you tried microneedling before? Or, have you tried PRP for facials? How were your experiences? Did you get the results you were looking for? How about sharing your thoughts in the comment box below.